After celebrating with Palaweños at the Baragatan Festival, Shell companies in the Philippines celebrates with Batangueños by showcasing the Malampaya Gas Project in the 27th Sublian Festival. 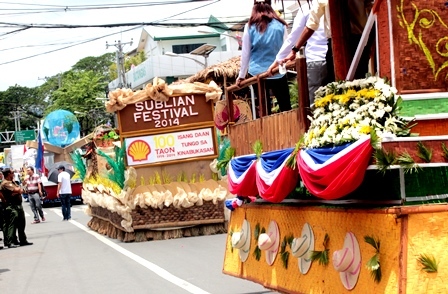 Shell, as the operator of Malampaya, takes its 100th anniversary to Batangas by joining the Sublian Float Parade Competition. Batangas is the site of the Malampaya Onshore Gas Plant and the Shell Tabangao Refinery. Reaching out to communities via cultural events is part of Shell’s giving back to society as a good corporate neighbor. 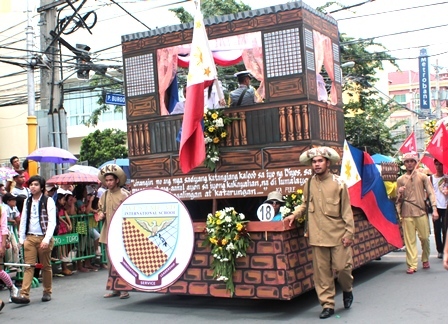 Shell’s 100 years float featuring the Malampaya Gas Project. 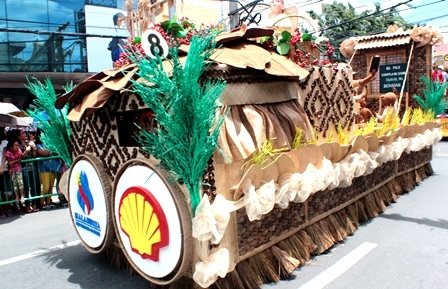 Shell’s float showcasing the Malampaya Gas Project ranked third in the Float Parade Competition held last July 29, 2014. Other float contenders in the Sublian Float Parade Competition. 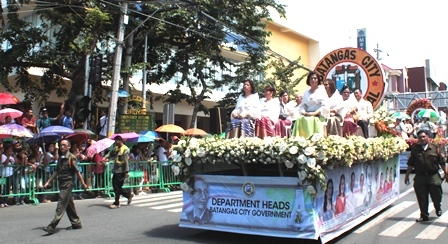 Twenty-eight floats from schools, businesses, hospitals and organizations in Batangas City featured their interpretation of the colorful facets of Batangueño culture and heritage, as well as their rendition of this year’s Sublian Festival theme: “Idol Kita, Ka Pule!” in celebration of Apolinario Mabini’s 150th birthday during the parade. The 27th Sublian Festival opened with a floral offering at the Plaza Mabini, followed by a thanksgiving mass. In attendance were Mayor Eduardo B. Dimacuha and other city government officials. 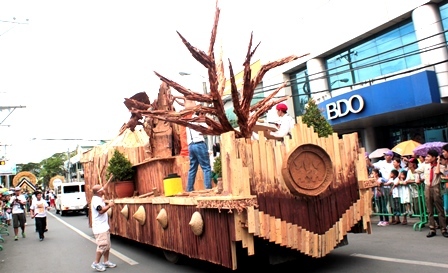 The Sublian Festival, an annual two-week long celebration which culminates late in July, is rooted in the Batangueños’ devotion to its patrons: the Holy Cross in Bauan and Agoncillo, and the Sto. Niño in Batangas City. The Subli is an ancient dance that combines poetry, movement and music performed by indigenous peoples to show their religious devotion to their patrons. 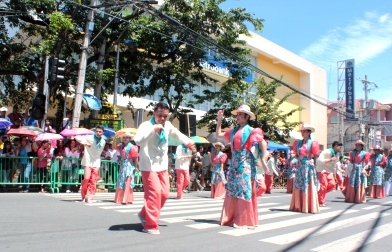 Today, the Sublian festival features not just street dancing, but also indigenous Filipino games, harana (serenade), and the Lupakan, Awitan at Sayawan: an event which combines the sharing of nilupak (local delicacy made of bananas and sweet potato) with folk songs, dances and even a Malunggayan Fiesta, a day that celebrates the nutritional benefits of the malunggay (moringa) plant. The Sublian Festival coincides with the celebration of the city’s founding anniversary and is included in the Department of Tourism’s calendar of events. Batangas is important to Shell because it is the site of the Shell Tabangao Refinery that processes crude oil into usable petroleum products and the Malampaya Onshore Gas Plant that receives natural gas from the offshore platform in Palawan, treating and distributes to power plant customers Ilijan, Sta. Rita and San Lorenzo. 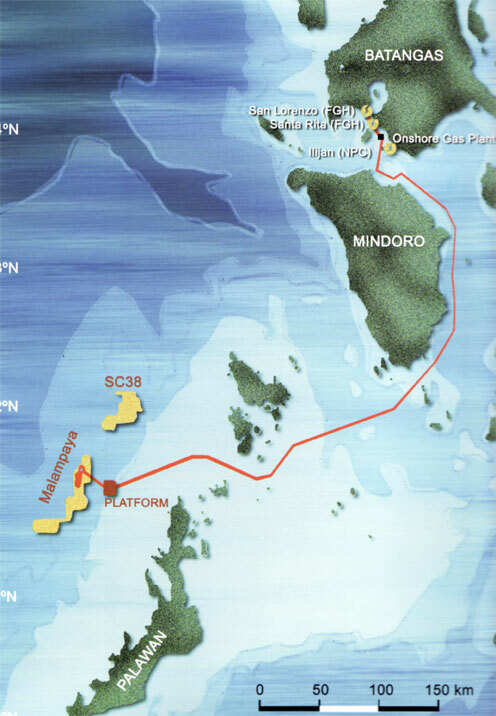 The Malampaya Gas Project powers 25% -30% of the Philippines’ electricity needs with cleaner-burning natural gas. More than supporting energy security, the project also contributes billions in government revenue share, provides thousands of jobs and puts the country’s capability at par with international oil and gas industry standards. Participating in the colourful Sublian Festival is part of Shell Philippines’ reaching out and expressing gratitude to the whole country and symbolises its commitment to continue exploring technology and innovation to sustainably power Philippine growth and development for the next 100 years.